Help. Obsessed. There may have been a Pinterest board created and it may be strictly properly sourced and maybe just updated with a gown that is included in one of the few Lafayette photos to have lots of close views. Such bliss. 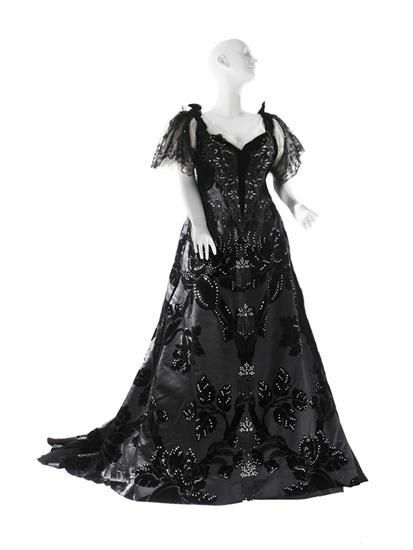 I know a lot of people have been inspired by RedThreaded’s Worth gown, but there may be some weird web archiving glitch so here it is for anyone not yet seen! Cynthia’s gown next to the originals! Garment entirely created by Cynthia Settje of red threaded. 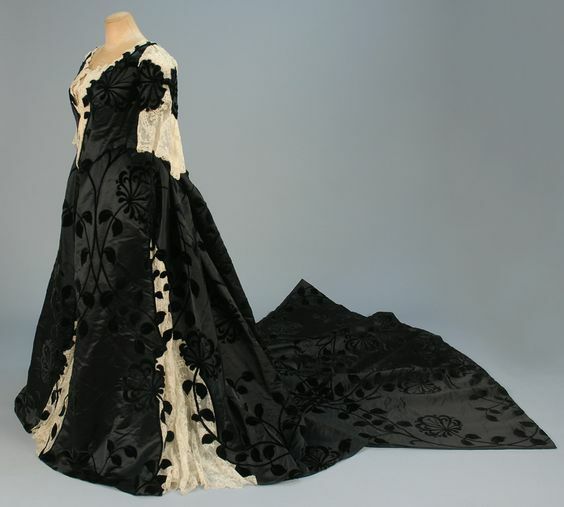 So while looking for themes and understanding my favourite gowns in context the velvet and satin gowns came up over and over again. So I shall add to this blog post as more pop up, and I wrestle with WP layouts. Sitter: Lillie Langtry (stage name) Lady De Bathe, née Emilie Charlotte Le Breton (1853-1929). I think this may be my favourite of all the gowns Worth produced like this. Though that may be because it’s Lily Langtry! Yes, I often combine my interest in theatre, costume, and stage so of course I have a lovely file archive of Mrs Langrty. These next three fascinate me, the high neck of two and the delicate butterflies of the third. This first one has horizontal bust darts! As well as curved bust seams and a waist seam to get that beautiful shaping of the velvet. And finally we have the gowns for those slightly more conservative. 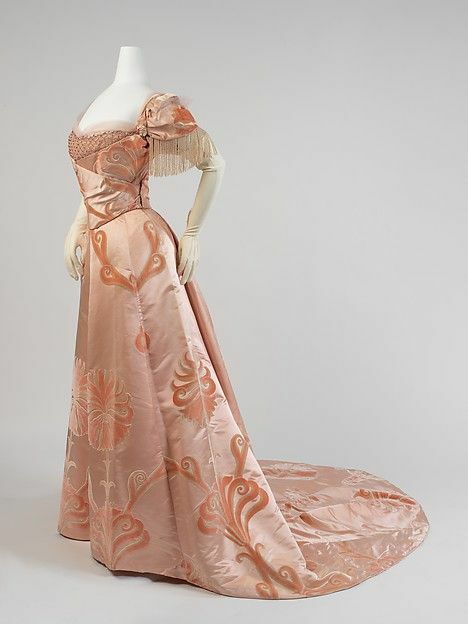 Which is nice- obviously the gowns caught the eye of many and they wanted a part of what made these gowns so special. No less care, just a slightly less start style! 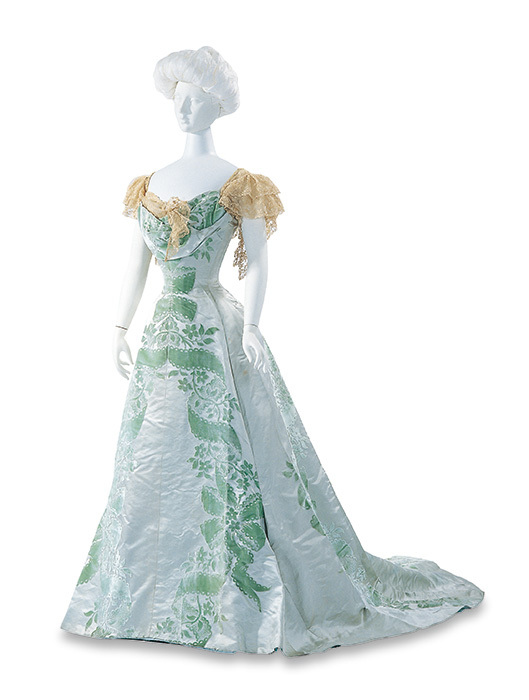 WORTH EVENING DRESS with COURT TRAIN WORN by FORMER FIRST LADY HARRIET LANE at the COURT of ST. JAMES, c. 1898. But all this has been part of my life tidying that has been happening- organising books, papers, digital files. So this has meant reorganising my patterns and WIP and thus my recent flurry of posts. I’ll be trying to get all my Mina posts from before the website changeover, but that may be a bit difficult! Next Next post: following is totally cool!